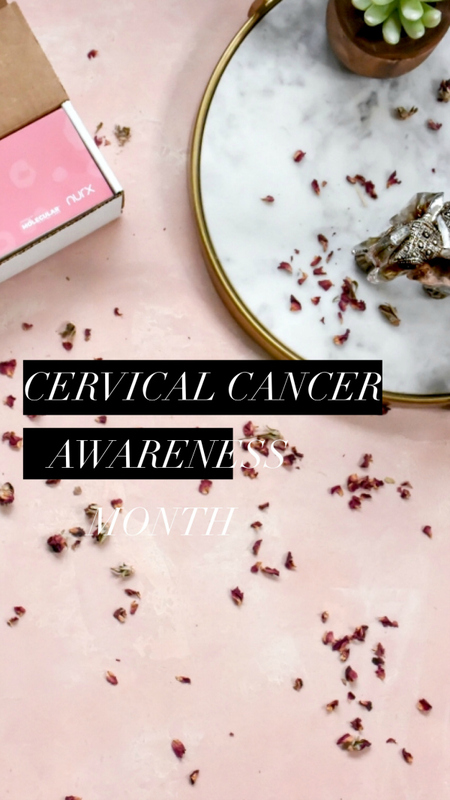 The purpose of Cervical Cancer Awareness Month is to not only educate women about cervical health, but the power of prevention! Cervical cancer is the second most common cancer among women. Each year, there are nearly 34,000 women that are diagnosed with it. Share the post "Cervical Health Awareness Month"
January is Cervical Cancer Awareness Month! The purpose of Cervical Cancer Awareness Month is to not only educate women about cervical health, but the power of prevention! Cervical cancer is the second most common cancer among women. Each year, there are nearly 34,000 women that are diagnosed with it. 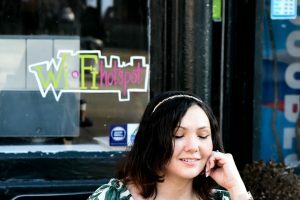 HPV (human papillomavirus), the most common sexually transmitted infection, is often the cause of cervical cancer as well as other types of cancers, including vulvar and vaginal cancer. 80% of women will get affected by at least one type of HPV at some point in their life. There are nearly 80 million Americans that are currently infected with HPV. Most of these people are unaware that they have HPV since they usually don’t experience any noticeable symptoms. 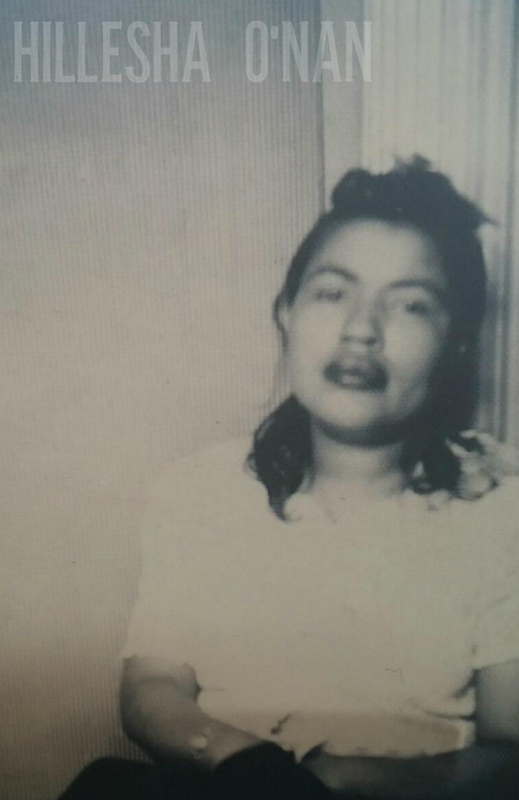 In 1958, my paternal grandmother’s life was cut short due to cervical cancer at the age of 45 years old. Thankfully, cervical cancer detection has come a long way since her death! This is why I encourage women of all walks of life to get tested when they feel something is amiss within their body since early detection can help save lives. While not all strains of HPV causes cancer, getting tested for HPV is the only way you’re going to truly know the status of your health. This is a basic right that everyone deserves – without the judgement. Your health is well worth it. Did you know that you can check your risk of cervical cancer in the privacy of your home? Thanks to Nurx’s Home HPV Screening Test, I don’t have to wait months for an appointment to see my gynecologist when I feel like there’s something amiss. Instead, I can take the initiative and take charge of my health. It’s quick, simple, and affordable ($15 with insurance and $69 without insurance). 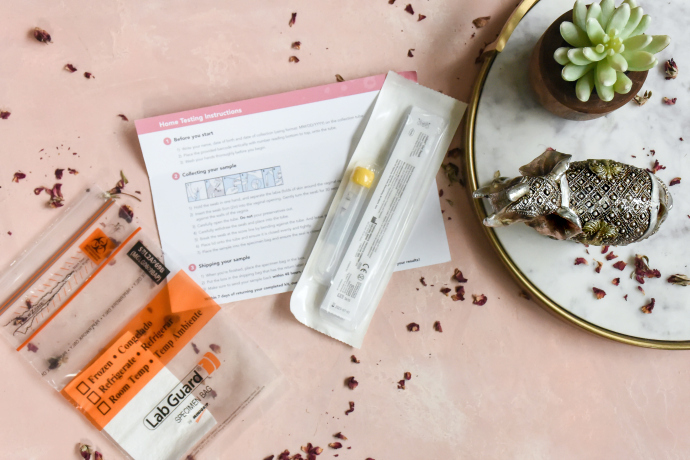 This home screening test works as just as good as a pap smear! 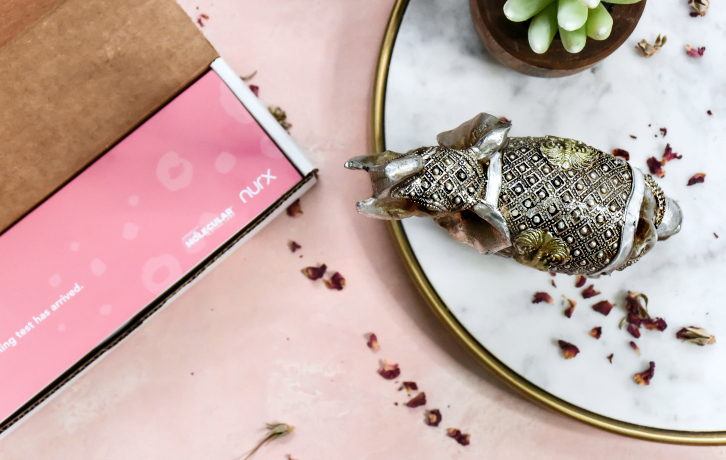 Nurx’s Home HPV Screening Test will check for 14 strains of HPV that have a higher risk of leading to cervical cancer. Their mission is make this home screening test convenient for anyone. Nurx’s primary focus is reaching to women who lack access to traditional healthcare services, whether they’re unable to afford health care or don’t have health insurance. 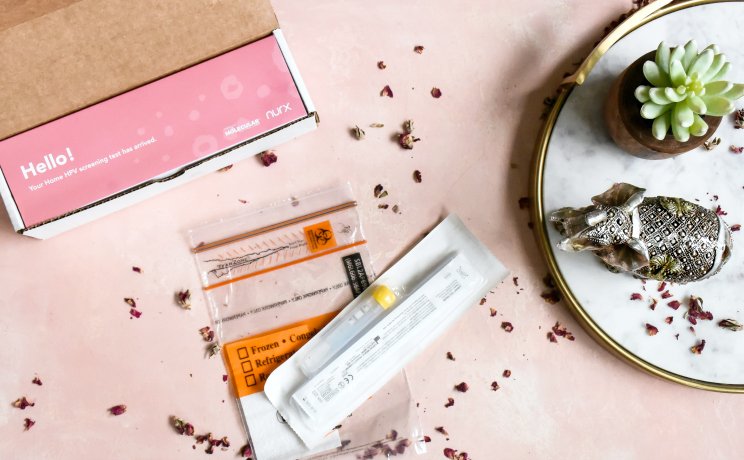 This convenient option is also perfect for those who don’t live near a medical clinic, don’t get regular pap smears, or simply want to check their risk in-between pap smears. Head over to Nurx.com or download the Nurx iOS mobile app. They’ll ask you few questions about your health and they’ll ship you a kit in discreet packaging straight to your door. 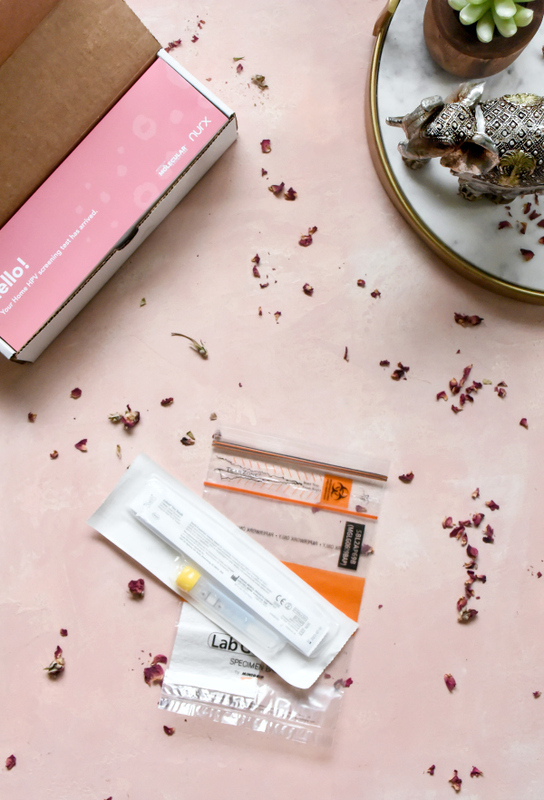 The Nurx Home HPV Testing Kit comes with everything you need to collect a sample and send it back to their lab. Each kit comes with a pre-paid return envelope, instructions, a sticker with a barcode, an extra long swab, plastic bag, and tube. A medical provider will follow-up a week after the sample is received to review results. This is such an important post! THANK YOU for bringing it to the attention of those who might not yet be aware of JUST how important this is. I used to think it wasn’t a big deal to get tested (in Sweden we’re scheduled for pap smears every year from the year we turn 23) and so didn’t go for like 7 years or something. When I finally did – of course I did have changes on my cervix. A few months later they were removed and all is fine now, no recurrances. But still. What if I had not gone when I did?? Glad to see how people giving awareness with cervical cancer. This saves a lot of women in our society. Glad to hear those people who make this awareness happens. It was a great way to save other women from cervical cancer. 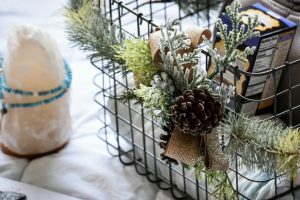 Thanks a lot for sharing this important post, definitely going to order one and would love to share this blog with my friends. Very interesting and such an important thing that need to be tackle. Thank you for sharing this as it gives us an awareness and educate us about this health issue, and it is so good to know that there’s an available kit for you to check if you are positive or not. But of course, it is also important to visit your doctor to know your condition. thank you for sharing this and bringing to attention female sexual heath! I hope people realize it’s easy get started with this at home and take charge of their health. I work in a law firm and one of my client’s recently passed away from cervical cancer. She went through hell. Heavy bleeding, extreme pain. It was awful to see. Bringing awareness to this disease is essential. I didn’t realize that there was a test that you could take at home. It’s fascinating how far science has come over the years, and wonderful that we have these tools at our disposal. I lost my gram to cervical cancer. I had an emergency hysterectomy and they wanted to leave my ovaries. I told them, nope, take those out too. They did and the dr. said it was a good thing they did because they were covered in polyps! Thanks for spreading awareness. I believe Pap smear and HPV is free thru insurance.. I really recommend this preventive exam.